Amazon has come under fire for selling Ouija boards aimed at children as young as eight. 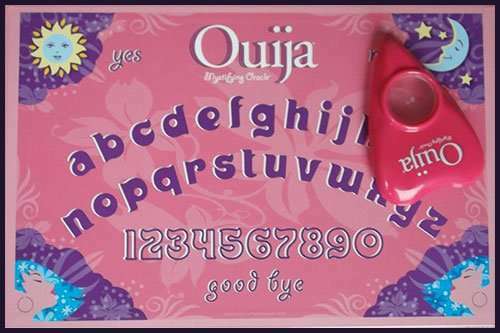 There is even a pink version of the game to appeal to girls and comes with a planchette and classic Ouija lettered board. The ‘spirit-world game’, created by toy giant Hasbro, invites players and the friends to pose their questions to the dead. While Ouija boards are viewed as a harmless parlor trick by some, many, including the church, regard them as dangerous tools which can trigger psychological harm — or something even more sinister. Church of England vicar Peter Irwin-Clark believes it is hugely irresponsible to market and sell the controversial devices as toys. ‘It is absolutely appalling. 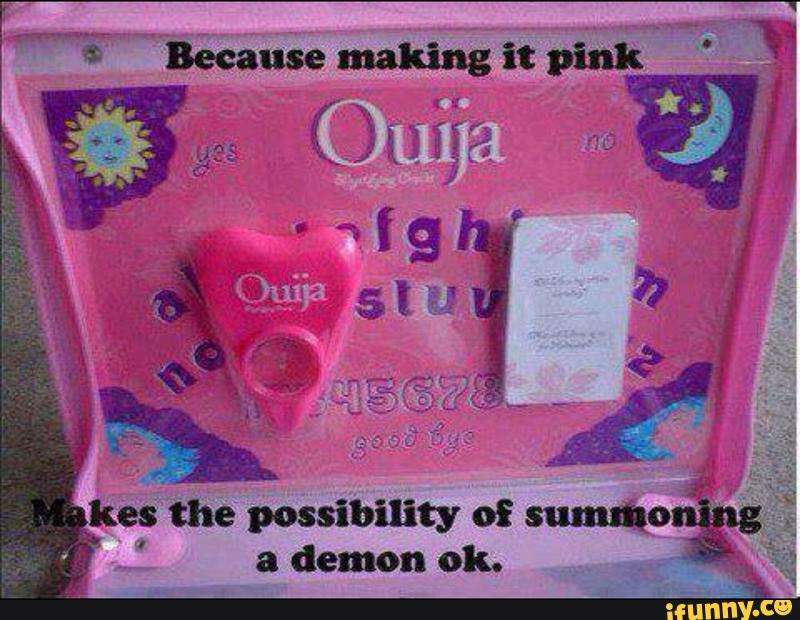 I would very strongly advise parents not to buy Ouija boards for children. It’s like opening a shutter in one’s soul and letting in the supernatural. There are spiritual realities out there and they can be very negative,’ he said. ‘The spirit world is real, and we play with it at our peril. People have ended up in mental hospitals or worse playing with such things,’ he added. Last summer three friends were taken to hospital after claims they had become ‘possessed’ by evil spirits while playing with a Ouija board. 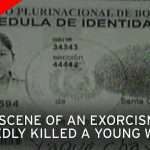 Alexandra Huerta, 22, was playing the game with her brother Sergio, 23, and 18-year-old cousin Fernando Cuevas in south-west Mexico when minutes in she apparently started ‘growling’ and thrashing around in a ‘trance-like’ state. Sergio and Fernando also began experiencing feelings of blindness, deafness and hallucinations and the trio had to be taken to hospital where they were treated with painkillers, anti-stress medication and eye drops. 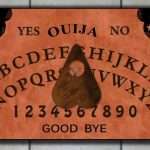 Ouija boards were invented in America at the height of the spiritualist craze of the 19th century, since then they have come in and out of favour. 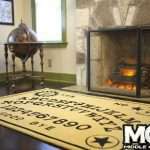 Popular in the 1920s, Ouija took off again in the Sixties, outstripping sales of Monopoly in its best year. But the release of the 1973 hit film The Exorcist, in which a young girl takes to communicating with an unseen being by means of such a board and becomes possessed, saw a decline in favour. 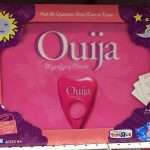 Recently, sales of Ouija boards are up again, by as much as 300 percent over Christmas, making them one of the season’s must-have gifts. 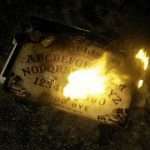 One of the reasons for the resurgence in sales is a new low-budget horror film called Ouija. The board combines the letters of the alphabet and the numbers 0 to 9 with the words Yes, No and Good-Bye. With it comes a planchette or pointer. Players are told to sit around the board, each place two fingers ‘lightly’ on the pointer, and concentrate — before starting to ask questions in turn. The planchette then ‘moves of its own volition’ towards specific letters and numbers. Catholic Priest and former exorcist Anthony Hayne was only too aware of the dangers of teenagers who ‘had been using Ouija boards and had let the darkness into their lives’. ‘A lot more people are dabbling in the occult and having seances, and that is causing a lot of problems. In the Sixties, the Ouija board caused so many problems — people ending up in mental hospitals because of what they have experienced.